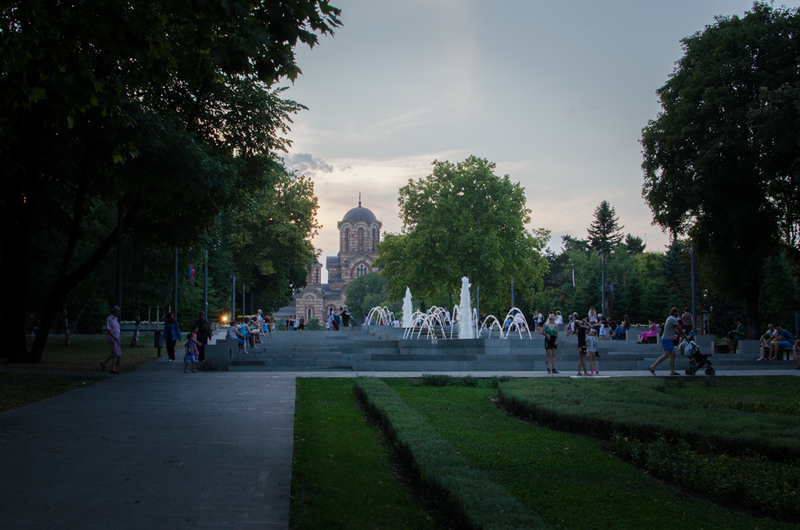 Today one of the largest and well-maintained parks in Belgrade, Tasmajdan (or Tas as it’s lovingly known by the people of Belgrade) is located near the church of St. Marco and just off one of the largest streets in Belgrade, the King Alexander’s boulevard. There is much to do here – visitors can enjoy a leisurely walk, jogging and cycling enthusiasts can make use of special tracks for those activities, there is a children’s playground with many interesting activities for kids to enjoy, you can try your hand at gigantic chess, sit by one of the huge fountains with a book, enjoy a light-show and a performance in the evening and if you have a canine companion there is a special, fenced-off dog park where dogs can run around off the leash, free and happy. 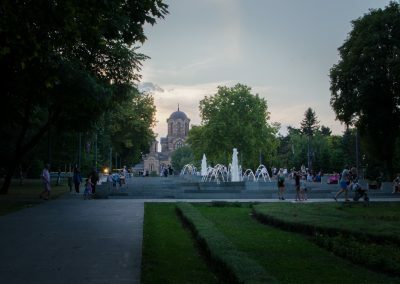 In the broader sense of the name, “Tasmajdan” includes a much larger area than just the park. It stretches all the way between the streets Ilija Garasanin and 27th March up to Belgrade and Carnegie streets. All in all, this is a great area to spend free time and yet still be near all the important transportation connections in case you need to hurry off somewhere.